To produce a project at FH Studio, it’s simple: take a passionate team, mix their expertise, creativity and originality, and make sure that everyone takes pleasure in doing so… and voila! It is in this spirit that was produced the 2014 FH Studio Christmas card, we are very proud that you have acknowledged our hard work. 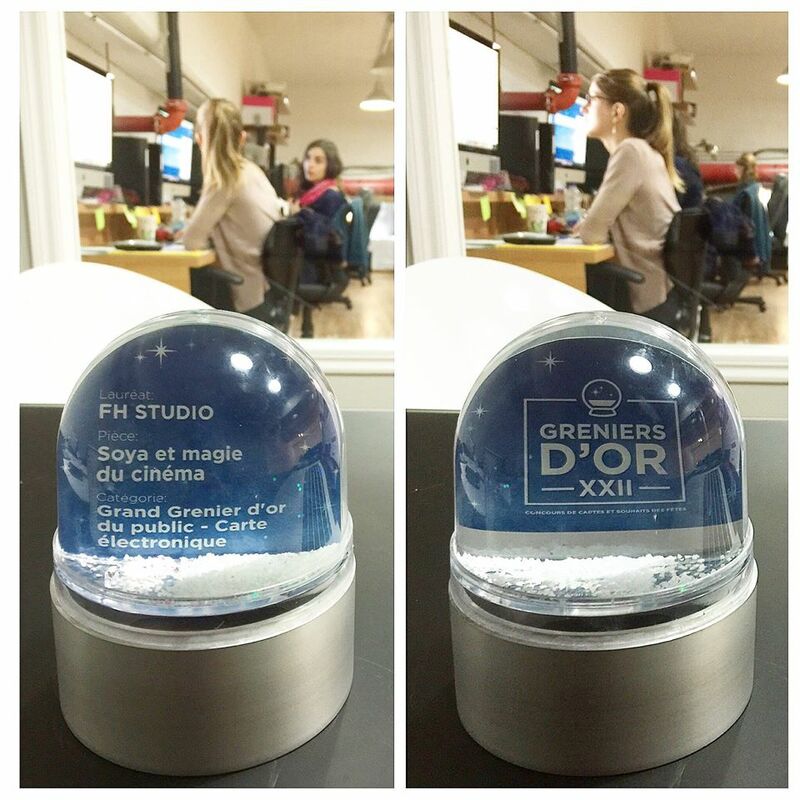 An enormous thank you to all of you, the public, the jury and of course: Grenier aux nouvelles. FH Studio brings together a motivated team of professionals that help us produce out of the box projects. Consequently, we would like to our director Sébastien Landry, the agency La Base for helping us with the conception of the slogan, Syllables for the audio postproduction, Mel's Studio and especially Normand Brathwaite for his talent, good humor and generosity. To read more about the other nominees and what the "Grenier aux Nouvelles" thinks about it –> it is here!